A group texting solution that's easy and affordable. Communicate with large groups of contacts using our simple platform. We make sending group text messages easy. Select which groups you'd like to text, type your message, and click "Send". Your message will instantly be delivered to selected contacts. Scheduling future group messages is a snap. Just choose which groups you want to text, type out your message, select a date and time for send, and click the "Schedule It" button. Easily engage with subscribers using 2 way messaging. With conversations neatly organized, just like an email inbox, individual contacts can reply to a message, and have a streamlined, one on one discussion with the sender. Want to get a quick opinion from your subscribers? No problem. Create a poll, add all possible answers and send your question out. Group members can text back while you view all data and results in real time. Why share a number with other companies? With Text Carrier, you get a dedicated, local phone number. This gives you full control over what's being sent. It also gives you your choice of any and all keywords. 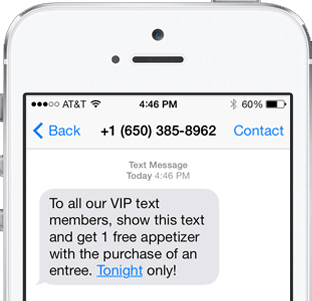 Whether you have 10 subscribers or 10,000, our group texting service scales with the needs of your growing business. Use it for employee communication, or fire out a message to your weekly book club. Binding contracts are old school. With Text Carrier, you're never locked in. You can adjust your plan up, down, or cancel at any time. We want you here because you love our group text messaging platform, not because you're stuck. Text Carrier provides industry standard, 256 bit SSL data encryption. Your information is 100% safe and secure. You can trust our group texting platform. All messages are sent over a safe and private network. No information is shared, sold, or distributed.